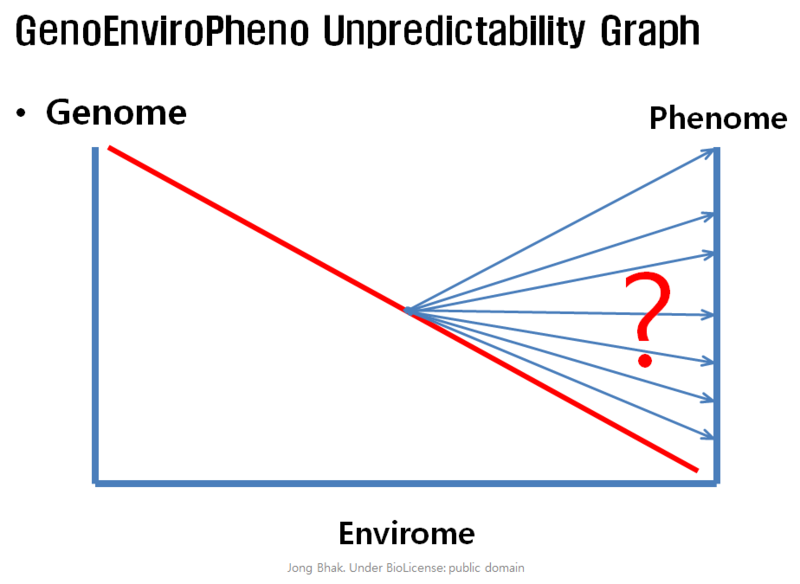 Phenome is impossible to predict accurately with the sum of Genome and Envirome information. Phenome is a dynamic entity derived from the dynamic state changes of environment and genomes. At any point of time, it is impossible to predict phenome. First, it is too computationally intense and secondly, phenome affects environme and genome constantly. It is not a closed system. This page was last modified on 31 January 2015, at 06:35.